Each year, the esteemed French wine producer Château Mouton Rothschild chooses a master artist to create a label. The 2014 artist is David Hockney, who was a close friend of longtime Mouton owner Baroness Philippine de Rothschild. The Château Mouton-Rothschild vineyard totals 84 hectares. In terms of red grapes, 80% is Cabernet Sauvignon, 10% Cabernet Franc, 8% Merlot and 2% Petit Verdot. There is also Sauvignon Blanc, Semillon and Muscadelle, for the estate's white wine. The wine is fermented in oak vats (they are one of the last châteaux in the Médoc to use them) and then aged in new barrique barrels. The birth of Château Mouton-Rothschild took place in 1853, when Baron Nathaniel de Rothschild - from the English line of the Rothschild family - purchased the estate - which was called Château Brane-Mouton - and renamed it using his name. The estate was in English hands in the 15th century but returned to French hands after the 100 Years War. It was under Baron Philippe de Rothschild - who was only 20 years old, when he gained control of the property - that winemaking and wine selling at Château Mouton-Rothschild – and in general in Bordeaux – changed drastically. 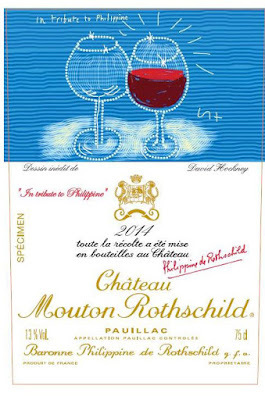 Baron Philippe de Rothschild had one child, Baroness Philippine Mathilde Camille de Rothschild, who was the head of the Mouton Rothschild portfolio until her death in August 2014. Baroness Philippine had 3 children: Camille Sereys de Rothschild (born 1961), Philippe Sereys de Rothschild (born 1963) (with Jacques Noël Sereys, a French theatre director and actor, with whom she was married from 1961 to 1999), and Julien de Beaumarchais de Rothschild (born 1971) (Jean-Pierre de Beaumarchais, a biographer and scholar, with whom she was married when she passed away). 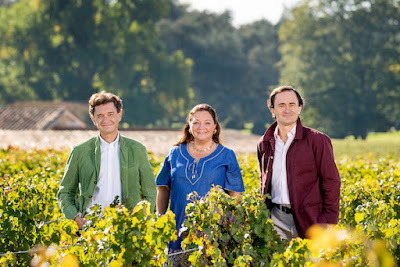 Baroness Philippine de Rothschild’s youngest son, Julien de Beaumarchais, took over from his mother in choosing the artists for Mouton Rothschild’s famous labels as of the 2014 vintage (the label for the 2013 vintage was still chosen by Baroness Philippine de Rothschild). De Beaumarchais, who studied art history, said he would make his decision ‘in consultation with the family’. The move comes despite the Baroness' other son, Philippe Sereys de Rothschild, was named as President of the Supervisory Board of Baron Philippe de Rothschild SA, following on from his mother. The Rothschild brothers became one of the major forces in the far reaching changes that swept through Europe, while their father had not been allowed to purchase land outside of the Frankfurt am Main ghetto. During the 19th century, they were the bankers to monarchs and governments, bankers to Napoleon’s Europe and then in the industrial area the builders of the modern economy through their investment in railways. Baron Philippe, who died in 1988, belongs to the London branch of the large Rothschild family. Returning to his chateau after the war, Philippe Rothschild decided to allow his first post-war vintage to celebrate the Allied victory. Rothschild asked friend Philippe Julian to design a new label for the 1945 vintage. Based on Churchill's famed V-sign, the label sparked a new era for Mouton Rothschild. Philippe Rothschild, who had already been among the pioneers in recognizing the marketing potential of a wine's label, now decided that the label for each year's vintage was to feature an original piece of artwork--commissioned from Rothschild's circle of friends, only some of whom were artists. Yet all received the same payment: five cases from that year's vintage, plus five cases chosen from the Rothschild cellars. In 1955, the Rothschild label took on a still more serious role. That year's label featured a design from famed painted Georges Braque. From then on, the Rothschild labels were to become a showcase for the world's top contemporary artists. Hockney, who was a close friend of longtime Mouton owner Baroness Philippine de Rothschild, has paid tribute to her by using the words ‘In tribute to Philippine’ both above and below the image of two wine glasses. One glass is full and one empty. The estate said that this symbolised the ‘constantly renewed miracle of the birth of a great wine’. 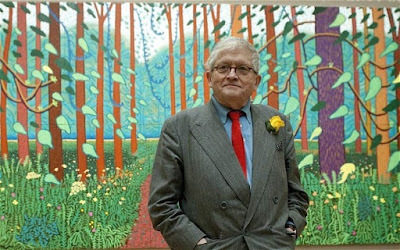 David Hockney, born in 1937, is one of Britain’s leading contemporary artists and recently completed an exhibition at the Royal Academy in London. He becomes the fifth British artist to grace a Mouton label, following Lucien Freud in 2006, Prince Charles in 2004, Francis Bacon in 1990 and Henry Moore in 1964. Overall, Bordeaux is a rather sleepy area, not well prepared to receive wine lovers from all over the world to experience the wines they love so much in the area, where the wines are made. But things are changing. Wine tourism has caught up with Bordeaux. One producer that clearly is a leader in this wine-tourism movement is Château Smith-Haut-Lafitte. We visited Château Smith-Haut-Lafitte in the morning. Following the visit and tasting we enjoyed lunch at the 2 Michelin starred Restaurant La Grand' Vigne, prepared by Chef Nicolas Masse. The restaurant is part of the Les Sources de Caudalie, a complex comprising a hotel, several restaurants and a health spa, which the owners of Château Smith-Haut-Lafitte constructed next to the Château. This posting focuses on the visit of Château Smith-Haut-Lafitte. A separate posting covers the outstanding wine lunch at Restaurant La Grande Vigne. The noble Bosq family started growing grapes here as early as 1365. The property was purchased in the 18th century by Scotsman George Smith, who gave the estate its present name. 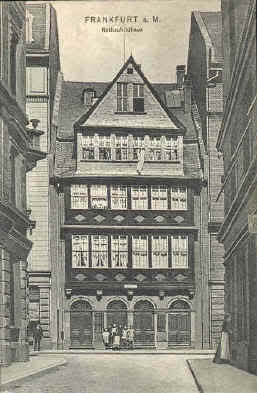 He also built the manor house and exported his – by now famous – wine to England on his own ships. Current owners are Florence and Daniel Cathiard. Both Florence and Daniel were professional skiers belonging to the French Olympic ski team in the mid-1960s (with triple gold medal legend at the 1968 Winter Olympics Jean-Claude Killy). After their career in sports, Daniel built a supermarket and sporting goods store imperium and Florence an advertising agency. In 1990 they bought Château Smith-Haut-Lafitte with the wealth generated by the sale of all their assets. They brought the quality of Smith-Haut-Lafitte wines to the level for which they were once renowned. Château Smith Haut Lafitte is a Bordeaux producer from the Pessac-Léognan appellation, ranked among the Grands Crus Classé for red wine in the Classification of Graves wine of 1953 and 1959. The winery and vineyards are located south of the city of Bordeaux, in the commune of Martillac. The estate originates in the 14th century with the house of Verrier Du Boscq who planted vines on a gravelly plateau named Lafitte already in 1365. In 1720 it was bought by the Scotsman Georges Smith who added his name to the lieu-dit and who built the manor house of the property. The Louis Eschenauer Company bought the estate in 1958, after having already distributed the wine from the early 20th century. In 1990, Florence and Daniel Cathiard bought Smith Haut Lafitte and embarked on a major renovation and investment program. The vineyard area consists of 67 hectares, 56 hectares of which are planted with red grape varieties (55% Cabernet Sauvignon, 35% Merlot and 10% Cabernet Franc). The remaining 11 hectares are cultivated with white varieties (90% Sauvignon Blanc, 5% Sémillon and 5% Sauvignon Gris). The vineyards are located on a gravel ridge to the east of Château Haut-Bailly. The grapes are fermented in stainless steel vats and the wine is then matured in oak barrels (50% new) for 15-18 months. The wines are bottled unfined and unfiltered. The Grand vin, Château Smith Haut Lafitte, is annually produced in 10,000 cases of the red wine and 2,500 cases of the dry white. The second wine, Les Hauts de Smith, has a production of 5,500 cases, and exists in red, white and rosé versions. The rosé is produced as a Bordeaux AOC. Château Smith-Haut-Lafite has been transformed during the last decade from being a perennial underachiever to being one of the leading estates in the Graves region. Before the arrival of the Cathiard Family, Château Smith Haut Lafitte - though a Classified Growth of the Graves region - bore the nickname of Sleeping Beauty. Daniel and Florence Cathiard invested heavily, restored buildings, replaced vats, constructed a new barrel cellar, converted vineyard practices to sustainable farming and paid detailed attention to hand picking, sorting, and practices in the cellar. The proportion of new oak barrels used in the maturation process was increased and a trio of eminent oenologists (including Michel Rolland) was hired as consultants. Having raised the wine of Smith to the highest level of quality, Daniel and Florence Cathiard were not happy to leave it at that: they also restored the 16th-century tower, renovated the 18th-century chartreuse, refurbished two underground cellars and started up a cooperage on the premises. We ended the tour with a tasting. Following the tour, we went over to the Restaurant La Grand' Vigne for an outstanding wine lunch, prepared by Chef Nicolas Masse, who got his second Michelin star in 2014. (See separate posting). A few weeks ago, New York-based and Berlin-based, German wine journalist Stuart Pigott published in the Frankfurter Allgemeine Sonntagszeitung his favorite German wines and favorite German wine makers of the year – in German (Frankfurter Allgemeine Sonntagszeitung, 24. November 2016). Below please find his list of favorites with his comments in German, which I translated into English. Stuart Pigott , born in the UK, was Berlin-based for the past 20 years or so. During this period, he emerged as the leading German wine writer, mostly writing in German, and focusing on German wine. Notably, he now regularly writes for the specialist magazines Feinschmecker and Weingourmet as well as the Sunday edition of the Frankfurter Allgemeine Zeitung. He also produced a TV series on German wine. Die bewegende Vorgeschichte des Pfälzers Karsten Peter und der 1901 gegründeten ehemaligen preußischen Weinbaudomäne in Niederhausen an der Nahe lässt sich eigentlich nicht auf ein oder zwei Absätze reduzieren. Man kann sie in der Chronik des Gutes und diversen Weinbüchern nachlesen. Um aber zu verstehen, warum den beiden, Winzer und Gut, diese Auszeichnung hier gebührt, muss man zum Beispiel die großartigen Riesling-Weine des Hauses aus dem Jahrgang 2015 verkosten. Sicherlich werden sie manchen Lesern zu intensiv und/oder anstrengend erscheinen; das ist deren gutes Recht. Doch besteht das Ziel dieser Auszeichnung nicht darin, gefällige und standardisierte Gewächse zu bejubeln. Vielmehr geht es darum, Winzer herauszustellen, die eine bestimmte Art von Wein perfektionieren. The moving prehistory of Karsten Peter from the Pfalz and the former Prussian Weinbaudomäne in Niederhausen (founded in 1901) in the Nahe Valley can not be reduced to one or two paragraphs. You can read the history in the chronicles of the estate and various wine books. But to understand why the two, winemaker and estate, deserve this award, you have to taste, for example, the great Riesling wines of the estate from the year 2015. Certainly, they will appear too intense and / or exhausting to some readers; that is their right. However, the aim of this award is not to cheer up compliant and standardized wines. Rather, it is about bring to the fore winemakers who perfect a certain type of wine. Seit er 2010 vom neuen Besitzer Jens Reidel zum Kellermeister und Verwalter des Gutes ernannt wurde, hat Peter unnachgiebig an einer zeitgemäßen Interpretation der großen Tradition der ehemaligen preußischen Domäne gearbeitet. Bereits der erste Jahrgang (beileibe kein einfacher) war sehr gelungen, aber in den folgenden Jahren wurden die Weine sprunghaft besser. Der 2015er „Vom Schiefer“ (aus Niederhäuser Weinbergslagen, die etwas sanftere Variante) und der 2015er „Vom Vulkan“ (aus Schlossböckelheimer Weinbergslagen, ausgesprochen markant; beide 14,50 Euro ab Hof) demonstrieren, was „rassig“ und „mineralisch“ bei trockenem Riesling bedeuten können. Sie bieten extrem viel Eigenart, vielleicht sogar etwas Genialität (zu freundlichen Preisen). Der Riesling „Steinterrassen“ (19,90 Euro ab Hof) und die „Großen Gewächse“ (ab 26 Euro) aus den letzten Jahrgängen steigern das noch. Sie verdienen und verlangen sehr viel Aufmerksamkeit. Since he was appointed as the winemaker and general manager of the estate by the new owner Jens Reidel in 2010, Peter has worked relentlessly on a contemporary interpretation of the great tradition of the former Prussian domain. Already the first vintage (by no means simple) was very successful, but in the following years the wines improved further. The 2015 "Vom Schiefer" (from Niederhäuser vineyards, the slightly softer version) and the 2015 "Vom Vulkan" (from Schlossböckelheimer vineyards, both very expressive, both 14.50 euros ex-winery demonstrate what "racy" and "mineral" means for dry Riesling. They offer extremely much individuality, maybe even some geniality (at friendly prices). The Riesling "Steinterrassen" (19.90 euros ex winery) and the "Grosse Gewächse" wines (from 26 euros) from the last years push this further. They demand and deserve a great deal of attention. Zu Recht würde Karsten Peter, der gerade 40 Jahre alt geworden ist, jetzt auf die herausragenden Weinbergslagen (vor allem die Monopollage Hermannsberg und die Kupfergrube, die mehrheitlich im Besitz des Hauses ist) als Quelle dieser Eigenart deuten. Er ist es jedoch, der den Lagen diesen Ausdruck entlockt und zum Strahlen bringt, und dafür wird er hier zum Winzer des Jahres ernannt. Karsten Peter, who has just turned 40, rightly would point to the outstanding vineyard sites (especially the Hermannsberg monopoly and the Kupfergrube, which is for the most part owned by the estate) as a source of this peculiarity. It is, however, him who makes these vineyards shine in the wines and it is for this reasons that he is this year’s winemaker of the year. Walter Bibo wurde erstmals Anfang der neunziger Jahre als Kellermeister des berühmten Weinguts Dr. Heger im Kaiserstuhl/Baden bekannt. Später lockte ihn das ebenfalls bekannte Weingut Schloss Reinhartshausen ins Rheingau. Das heißt: Er ist alles andere als ein Jungwinzer! 2013 gründete er zusammen mit seinem Geschäftspartner Kai Runge einen eigenen Betrieb in Hallgarten/Rheingau und zeigte mit den sehr gelungenen trockenen und feinherben Riesling-Weinen aus den Jahrgängen 2014 und 2015 sein Können als Winzer. Walter Bibo became first known in the early 1990s as the winemaker of the famous Weingut Dr. Heger at the Kaiserstuhl / Baden. Later, the well-known Weingut Schloss Reinhartshausen attracted him to the Rheingau. This means that he is anything but a young-winemaker! Together with his business partner Kai Runge, he founded his own winery in Hallgarten / Rheingau in 2013. With his very dry and feinherb Riesling wines from the years 2014 and 2015, he shows what he is able to do. Bibo & Runge hat das Potential, sich einen Platz in der ersten Liga der Rheingau-Weingüter zu erarbeiten. Hier gibt es keine Modeweine und keine gemachten Weine, sondern wahre Rheingau-Klassiker, die durch ihre feinwürzige Art und ein elegantes Frucht-Säure-Spiel bestechen. Obwohl bereits die einfachsten Weine des Hauses wirklich gut sind, bringt der trockene und feinherbe „Hargardun“ (16 Euro ab Hof) aus beiden Jahrgängen das so richtig auf den Punkt. Bibo & Runge have the potential to make it to the group of top winemakers in the Rheingau. There wines are no fashion wines and no made wines, but true Rheingau classics, which convince with their fine spicy kind and an elegant fruit-acid-play. Although the basic wines are already really good, the dry and feinherb "Hargardun" (16 euros ex-winery from both years bring it to the point. Die Weine des Ostens tun sich nach wie vor schwer im Westen. Nähmen die hartnäckigen Skeptiker die trockene Weißweine aus dem Jahrgang 2015 von Uwe Lützkendorf in Bad Kösen/Saale-Unstrut (Bild oben) richtig zur Kenntnis, wäre das Image des ostdeutschen Weins ein ganz anderes. Die trockenen Rieslinge und Weißburgunder „GGs“ aus der Lage Hohe Gräte (25 Euro) sind sehr konzentrierte, spannende Weine mit enormem Entwicklungspotential, aber auch die günstigeren Gewächse des Hauses aus 2015 (10 Euro für Riesling, Weißburgunder und Silvaner) sind sehr lebendig: wahre Charakterköpfe mit ausgeprägten Kräuternoten. Das ist vorbildhaft - und ließe sich genau so auch von sehr vielen Lützkendorf-Weinen der Vorjahrgänge behaupten. Hinter dieser Leistung steckt ein extrem zielstrebiger und auch feinfühliger Mensch, der trotz aller Rückschläge immer weiter an der Verbesserung des Weins gearbeitet hat. Inzwischen ist er damit wirklich sehr weit gekommen. It is still difficult for the wines of the East in the West. If the persistent skeptics would correctly take note of the dry white wines from the year 2015 by Uwe Lützkendorf in Bad Kösen / Saale-Unstrut, the image of the East German wine would be quite different. The dry Rieslings and Weißburgunder "GGs" from the "Hohe Gräte" vineyard (25 Euro) are very concentrated, exciting wines with enormous potential for development, but also the more favorably priced wines from 2015 (10 Euro for Riesling, Weißburgunder and Silvaner) are very lively: True character heads with distinctive herbal notes. And this is also true of many Lützkendorf wines from previous years. Behind this performance lies an extremely determined and sensitive man, who has always worked on the improvement of the wine despite all setbacks. He has come a long way. Als sein Vater Bernhard Huber am 11. Juni 2014 verstarb, wurde Julian Huber, damals ganze 24 Jahre jung, zum vorzeitigen Einstieg ins Familienweingut gezwungen. Die Herausforderung war enorm, weil sein Vater mit seinen Weinen so gut wie jede mögliche Auszeichnung gewonnen hatte, die es für einen deutschen Rotweinweinerzeuger gibt (inklusive dem „Rotwein des Jahres“ bei unseren „Lieblingen“ mit dem 2009er Schlossberg Spätburgunder „GG“). Das war auch deshalb eine Besonderheit, weil Bernhard Huber erst 1987 aus der Gebietswinzergenossenschaft ausgetreten war und das Familienweingut gegründet hatte. When his father Bernhard Huber passed away on June 11, 2014, Julian Huber, at the age of 24 years, was forced to enter the family estate early. The challenge was enormous, because his father had won with his wines almost every possible award for a German red wine wine producer (including the "red wine of the year" in our "favorites" with the 2009 Schlossberg Spätburgunder "GG"). This was special, because Bernhard Huber had only left the regional wine cooperative and founded the family estate in 1987. Dazu kam, dass der Ruf von Malterdingen und der Spitzenlage Hecklinger Schloßberg vollkommen in Vergessenheit geraten war. Es ist ein kleines Wunder, wie Julian Huber mit seinem ersten Solojahrgang der stärkste Rotwein des Jahrgangs in Deutschland gelungen ist. Allgemein sind die Rotweine des Jahrgangs 2014 in Deutschland eher charmant und elegant als ausdrucksstark und tiefgründig. In diesem Kontext zeigt der 2014er Schlossberg Spätburgunder „GG“ eine erstaunlich intensive Würze (Kardamom! ), und die Gerbstoffe verleihen ihm eine ungewöhnliche herbe Kraft. Er ist noch ein wenig verschlossen, aber das ist ein Zeichen dafür, dass er sich nächstes Jahr und in vielen folgenden Jahren noch besser präsentieren wird. In addition, the good reputation of Malterdingen and the top vineyard Hecklinger Schloßberg had completely disappeared. It is a small miracle that Julian Huber succeeded with his first solo year to make the best red wine of the vintage in Germany. In general the red wines of the year 2014 in Germany are charming and elegant rather than expressive and profound. In this context the 2014 Schlossberg Spätburgunder "GG" shows astonishingly intense herbal notes (cardamom! ), and the tannins give the wine an unusual strong force. It is still a bit closed, but this is a sign that the wine will present itself even better next year and in the many following years. Der Jahrgang 2015 ist in Deutschland als „groß“ zu bezeichnen, weil er eine Fülle an beeindruckenden trockenen Weißweinen hervorgebracht hat, die in ihrer Gesamtheit die ebenfalls sehr einheitlichen und herausragenden Jahrgänge 2009 und 2012 sowie die beachtliche Spitzenweine aus nicht so homogenen anderen Jahrgängen des letzten Jahrzehnts noch übertreffen. Theresa Breuers 2015er Berg Schlossberg Riesling ist ein trockener Riesling, der kaum zu übertreffen ist - vorausgesetzt natürlich, man mag trockene Weine aus dieser urdeutschen Traubensorte. 2015 is to be labeled a "great" vintage in Germany, because 2015 has produced an abundance of impressive dry white wines, which in their entirety are even better than the very uniform and outstanding vintages 2009 and 2012 as well as the considerable number of top wines from not so homogeneous other years of the last decade. Theresa Breuer’s 2015er Berg Schlossberg Riesling is a dry Riesling, which can hardly be surpassed - provided of course you like dry wines from this grape variety. Manche Kritiker behaupten, die Weine des Jahrgangs 2015 seien zwar sehr gut, zur wahren Größe fehle es ihnen aber an etwas Säurefrische, und sie seien etwas zu breit im Körper. Dieser Wein jedoch verfügt über eine ziemlich betonte Säure und einen schlanken Körper, alles perfekt verbunden mit exotischen Fruchtaromen, feinem Schmelz und einer ausgeprägten (salzigen) mineralischen Note. Some critics claim that the wines of the year 2015 are very good, but they lack a bit in terms of freshness and acidity and they are a bit too broad. This wine, however, has a fairly pronounced acidity and a slender body, perfectly combined with exotic fruit aromas, fine melt and distinctive (salty) mineral notes. Weingut Breuer was founded in 1880, and developed into an 80 acre estate with top vineyards in Rauenthal and Rüdesheim. Today, daughter Theresa owns the estate. She is a very talented winemaker. Year after year, she produces wines of the highest quality without jeopardizing her own distinctive style, noticeable in every bottle. In punkto Harmonie und Feinheit ist dieser Wein nicht zu übertreffen, und das ist eine beachtliche Leistung. Zu Recht bleibt Breuer bei der Tradition der späten Auslieferung dieses Weins, die ihr 2004 verstorbener Vater Bernhard eingeführt hat. In terms of harmony and subtlety, this wine cannot be better, and this is a remarkable achievement. Breuer rightly stays with the tradition of the late delivery of this wine, which was introduced by her late father Bernhard, who died in 2004. Der 2015er Berg Schlossberg Riesling, dessen Etikett in diesen Tagen noch entworfen wird, hat ein Leben vor sich, das sicherlich in Jahrzehnten zu messen ist. Ob wir so lange durchhalten werden, ist allerdings eine ganz andere Frage. The 2015 Berg Schlossberg Riesling, whose label is still being designed these days, has a life in front of it that can certainly be measured in decades. Whether we will last so long is, however, a completely different question. Das Schlossgut Diel in Burg Layen/Nahe ist seit langem für seine charaktervollen trockenen und brillanten fruchtig-süßen Riesling-Weine bekannt. Auch der Spätburgunder-Rotwein des Hauses genießt Kultstatus. Jetzt kommt zu alledem eine Reihe beeindruckender und sehr eigenständiger Schaumweine, allen voran die 2008er „Cuvée Mo“. Dabei handelt es sich keinesfalls um einen leichten, erfrischenden Sekt zum Aperitif, sondern um einen ungewöhnlich körperreichen Schaumwein, der mit den kräftigsten Champagnern (wie etwa Krug und die Vintage-Abfüllungen von Bollinger) mithalten kann. Sie waren das Vorbild für diesen Ausnahme-Sekt, der erstmals im Jahrgang 2005 erzeugt wurde, und wie diese Vorbilder ist der Duft von Brioche-und Trockenfruchtnoten geprägt. Caroline Diels Schaumwein-Meisterwerk hat außerdem das Potential, einige Jahre zu lagern, und ist auch deshalb außergewöhnlich. Schlossgut Diel in Burg Layen / Nahe has long been known for its characteristic dry and brilliant fruity-sweet Riesling wines. The Spätburgunder red wines of the estate also enjoys cult status. To this the estate added a whole series of impressive and individualistic sparkling wines, especially the 2008 "Cuvée Mo". This is by no means a light, refreshing sparkler for the aperitif, but an unusually body-rich sparkling wine, which can compete with the most powerful Champagnes (such as Krug and the vintage bottlings of Bollinger). They were the model for this exceptional sparkling wine, which was produced for the first time in the year 2005, and like these models, the aromas of brioche and dried fruit notes are characteristic. Caroline Diel's sparkling wine masterpiece also has the potential to be stored for a few years, and is also for this reason exceptional. Das Taubertal und seine Spitzenweine wären weitaus bekannter, wenn die Weinberge des Tals sich nicht auf drei Weinbaugebiete aufteilten: Baden, Württemberg und Franken. Im fränkischen Teil gilt es einen höchst unterschätzten deutschen Winzer zu entdecken, Jürgen Hofmann. Aufgrund des hohen natürlichen Säuregehalts der Rieslinge aus der Lage Feuerstein belässt er den Weinen einen Hauch natürlicher Traubensüße, so dass sie zwar ziemlich herb schmecken, aber die Bedingungen für die Bezeichnung trocken nicht ganz erfüllen; „feinherb“ träfe exakt zu. Hofmanns strahlender 2015er Riesling „Sankt Martin“ ist ein herausragendes Beispiel: eine vielschichtige Fruchtaromatik (vor allem weißer Pfirsich und Zitrone), Blütennoten, eine mineralische Frische. Einer der besten feinherben Rieslinge des Jahrgangs in Deutschland, der deutlich weniger als seine wichtigsten Konkurrenten kostet. The Taubertal and its top wines would be much better known if the vineyards of the valley were not divided into three wine-growing regions: Baden, Wurttemberg and Franconia. In the Franconian part, a highly underestimated German winemaker is to be discovered, Jürgen Hofmann. Due to the high natural acidity of the Rieslings from the location Feuerstein, he leaves the wines with a touch of residual sweetness, so that they taste quite dry, but do not fulfull the legal conditions for the designation dry; "feinherb" would be accurate. Hofmann's 2015 Riesling "Sankt Martin" is an outstanding example: multi-layered fruit aromatics (especially white peach and lemon), flower notes, a mineral freshness. One of the best feinherb Rieslings of the vintage in Germany, which costs significantly less than its main competitors.